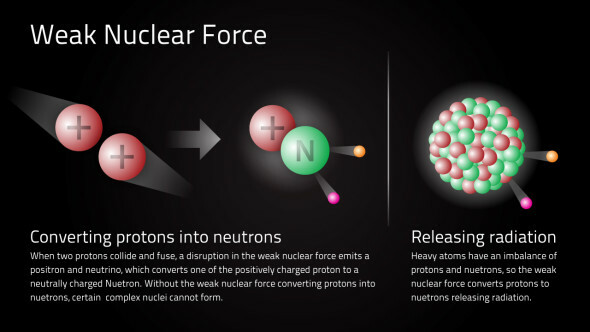 A groundbreaking experiment in physics has for the first time provided a precise measurement of a force between electrons and protons called the weak nuclear force. The value 0.0719 (give or take 0.0045) won't mean much to most of us, but the way they did it makes way for some exciting possibilities for pushing physics beyond the scope of the Standard Model. In an international effort between scientists called the Jefferson Lab Q-weak Collaboration, physicists took advantage of an odd quirk of particle physics to get a solid measure on one of the weakest of nature's four fundamental forces. Interactions between particles come in four categories, which can also combine together at high enough energies. Gravity might be the one that comes to mind first, keeping our coffee mugs from drifting towards the ceiling. It's also the weakest one, demanding virtually planet-sized chunks of matter before we personally pay much notice to its effects. The other force we're well acquainted with is electromagnetism, which sees the opposing charges of protons and electrons attract through the mediation of light particles, called photons. Then there's the strong nuclear force, acting over tiny distances to bind particles called quarks into protons and neutrons via the passing around of a particle called a gluon. Lastly there's a strange little 'weak nuclear' force that transforms neutrons into protons (with an electron and electron antineutrino for spare change). 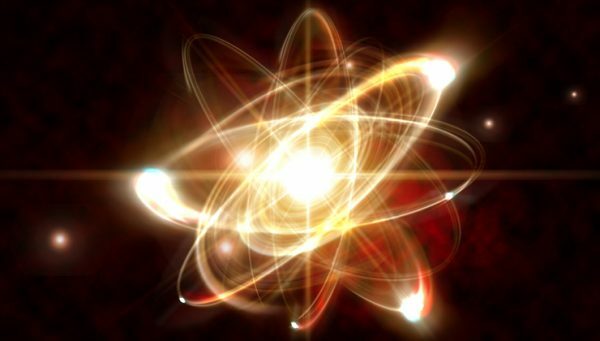 Though nowhere near as faint as gravity, the weak nuclear interaction represents just a fraction of the pull between a proton's and electron's charges. "Measuring this effect has proven difficult because the weak force is so much weaker than the electromagnetic," says the University of Adelaide's Ross Young. The trick was to take advantage of a strange discovery made back in the 1950s. Most things in physics follow some kind of rule of balance or symmetry, where swapping certain features of the Universe would make zero difference. For charge, this would mean if we suddenly swapped all positives and negatives everything would look pretty much the same. Likewise, if we rewind time, there's no indication that we'll ever notice. Space is a little weirder. If we flipped the positions of everything in some giant Universal mirror, most things wouldn't change. The weak nuclear force provides the one important exception. There is an inherent left and right bias in the breakdown of particles involved with this force, which we'd notice if the Universe went all topsy-turvy. This violation of what we call the symmetry of parity forms the basis of this experiment on the weak force. Spinning electrons in one of two directions and throwing them at protons causes them to ricochet off in a precise fashion, depending on the direction, or 'helicity', of their spin. "The difference between the two helicity configurations amounts to less than 300 for every billion electrons scattered," says Young. "By measuring this tiny difference very precisely, we've been able to determine the weak charge of the proton." The experiment's results fall in line with what would be expected based on the current picture of all things particle physics, the Standard Model. So the discovery itself isn't huge. "If the measurement had deviated from the prediction, it would be a strong signature for a new type of as-yet unknown force that is acting between fundamental particles," says Young. As solid as the Standard Model is, there are still plenty of gaps where the nature of phenomena such as dark energy and a quantum friendly theory of gravity are yet to be revealed. We just need the right way to analyse these barely noticeable properties of our Universe. Having a proven way to probe interactions that would usually be hidden in the buzz of stronger forces offers physicists a shiny, and valuable, new tool in their box of analytical tricks.